"I was away and when I came home, there wasn't evidence that anyone was here. Workers cleaned up not leaving anything behind. I will certainly tell my friends about their work." "Felgemacher Masonry came highly recommended to me by a friend and I was quite happy with the work." "After finishing restoring our chimney, we made sure to recommend them to our friends and family." 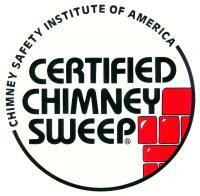 "I was having issues with the bricks on my chimney cracking and the mortar was gone. After having John and two sons rebuild the chimney, it looks great. Thank you." "Without hesitation, I would recommend Felgemacher Masonry to someone else looking to have work done to their chimney." "Felgemacher Masonry did a fantastic job rebuilding my chimney!" "They were timely and did great work." "Felgemacher Masonry was able to take care of my crumbling chimney in a matter of days."